So today I woke up to find a visitor at my door. 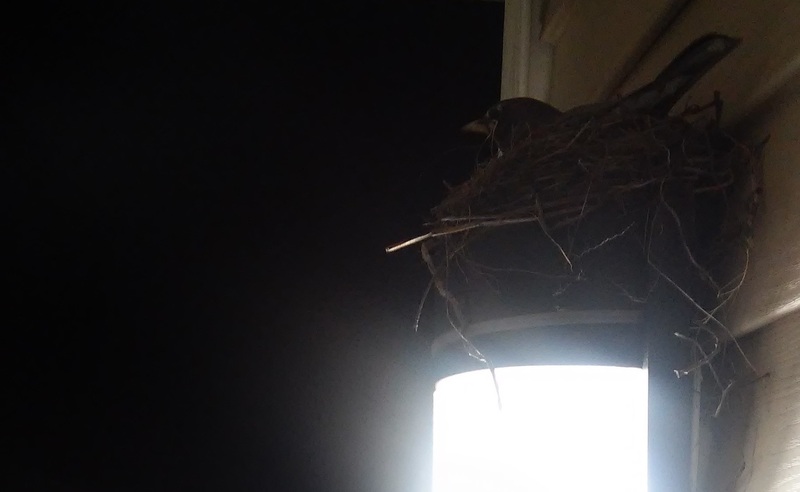 Right next to the doorsteps of my home there is a light. Apparently, a bird liked the spot for his nest. Must be warmth from the light that’s so appealing, huh? 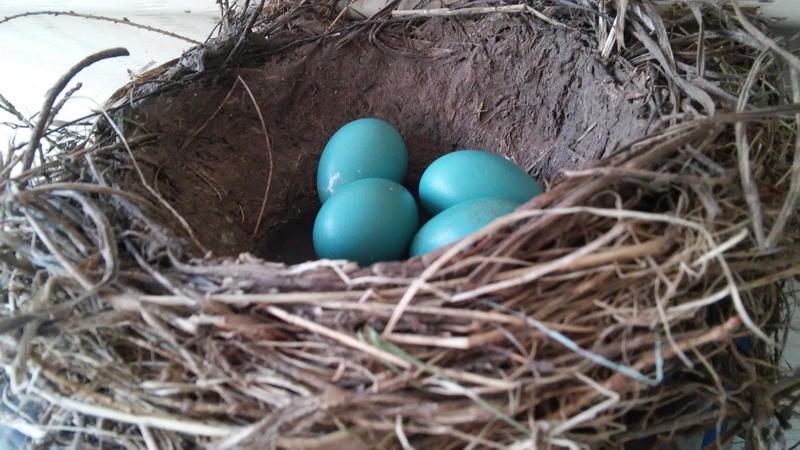 Anyhow, I have yet to stumble upon the critter, but I did get a chance to take a picture of the eggs.